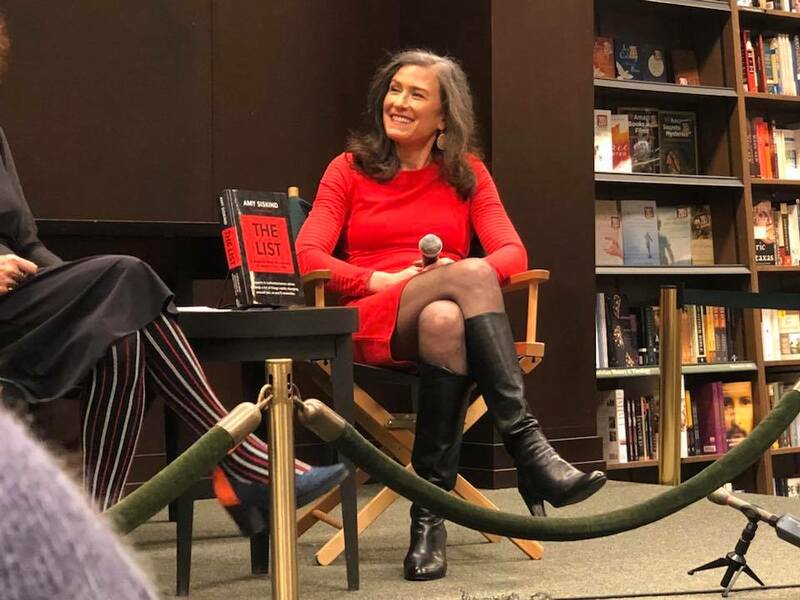 This was a piece of advice that resonated with Amy Siskind, leading her to catalogue Trump’s breaches of democratic norms shortly after the 2016 election. The Weekly List is viewed across various online platforms by 500,000 to 1 million people each week. Its itemized account of current events has helped readers make sense of the baffling state of American politics. 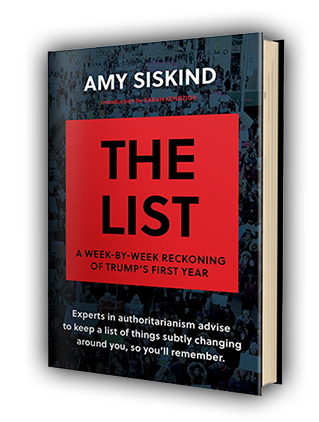 Amy Siskind has compiled the initial phase of her work in book form as The List: A Week-by-Week Reckoning of Trump’s First Year, available online and in bookstores nationwide. 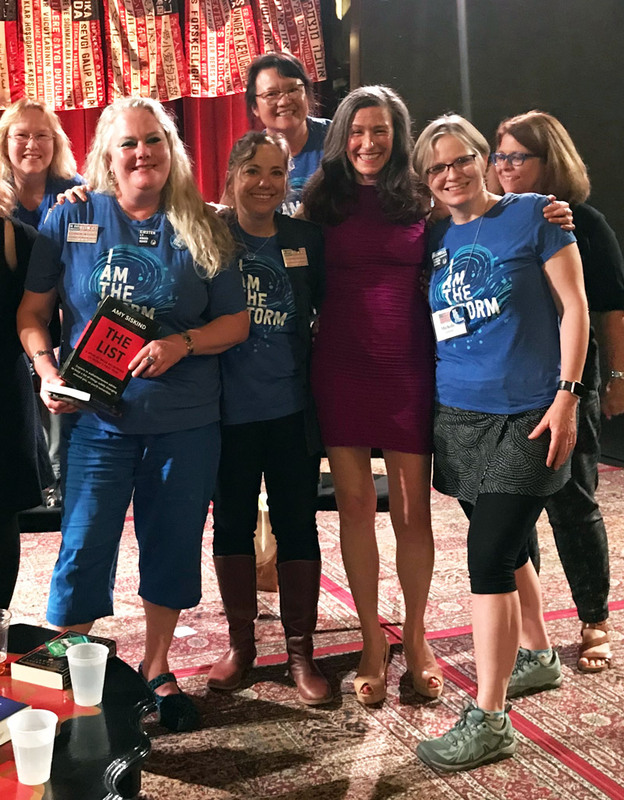 With so many shocking events occurring with such dizzying speed, many of us have struggled to take it all in. Directly, concisely, and with utmost precision, Siskind informs us of myriad specific ways in which, even just in 2016, the Trump regime has led our nation down a path away from liberty and justice for all – while providing a road map to our way back to normalcy. Siskind’s week-by-week chronicle provides insight into how Trump has continued to consolidate power. In Week 2, Ivanka Trump insisted on being an emissary to heads of state and other foreign dignitaries and the American public learned that “Russian propaganda was the source of much of the ‘fake news’ during the campaign.” In Week 12, Orwell’s 1984 appeared atop Amazon’s bestseller list. In Week 15, newly emboldened neo-fascists desecrating Jewish cemeteries. Siskind’s book represents a first draft of the history of Trump’s first year in office. In contrast to those who broadcast the story du jour, losing themselves in the 24-hour news cycle, Siskind provides memorable milestones, many of them overlooked or quickly forgotten by others, but all of them critical in understanding the Big Picture. In a media culture often caught up in opinions about hypothetical possibilities, Siskind provides verifiable facts. Chances are, things have been even worse than you thought. With utmost clarity, Siskind provides tools for the rest of us to become the well-informed citizens that any functioning democracy requires. The weeks together offer a play-by-play of Trump’s reign. One overarching story is how the Trump regime has consistently chipped away at the protections of women, LGBTQ+ citizens, immigrants, and other marginalized communities. Other plot lines to follow are the unveiling of Paul Manafort’s violations of campaign-finance laws and Kellyanne Conway’s violations of the Hatch Act. Whether charting the trajectory of a Twitter tantrum or tracking the regime’s illogical excuses, everything you need to know about Trump’s first year after the 2016 election is in The List. And you do need to know.